My last post Voice was really just that. It was me beginning to exercise my voice. Putting to words feelings I've been wrestling with. Trying to making sense of the thoughts running through my head. Starting the conversation around the concept of Church and home and faith and family. I long for that faith family so greatly. I know that there is more than what I currently experience. I've heard the stories, read the books, watched the testimonies. And so often I look on wishing the story, book or testimony was mine. That I was talking of the home I had found amongst like minded believers. That I was describing the community I belonged to. I yearn for what I hear and my restless spirit longs for a place where it can put down roots. In the midst of this yearning and restlessness it can be easier to look at others and think how fortunate they are. How good it would be to up and move to pastures greener. To leave behind all that is frustrating and life limiting and start again. In the ‘end stories’ of great blessing, we often fail to see the journey. We can fail to see the work, the pain, the commitment that has gone into growing to a place of fruitfulness. Often we want the end product without having to go through the process. Or at least I do. I'm not saying this is right for everyone. There will be times when it is right to move on. To leave a community behind and become part of another. But at other times? For me? 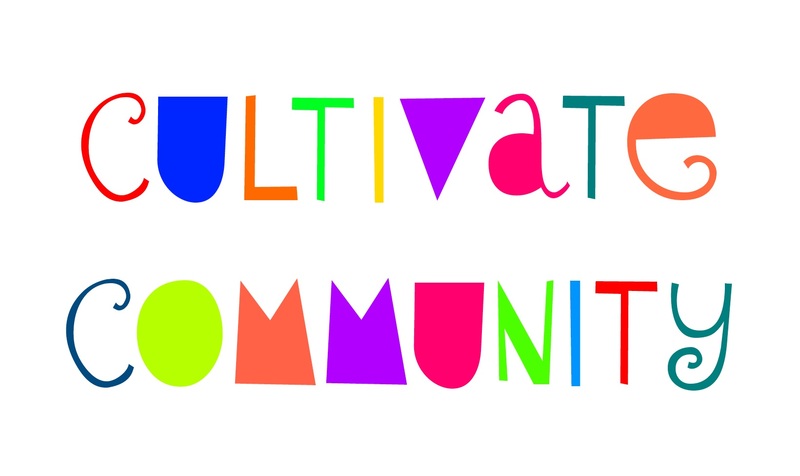 What does it mean to cultivate my community? To invest in those around me? To tend that rich soil? I yearn for more than my current experience. But why does that have to lead me elsewhere? Why does that have to be separate from my now? What can I do to begin to grow the type of faith family that I long to be a part of? And in my yearning for an end game experience how am I actually going to play to get to that point? Community and family is not just something I can decide I want and then speak it in to being, fully formed and well functioning. It is something that has to be grown and earned and matured. It is something that only comes through process. Maybe it’s time I stopped focusing on the end result and started living in the messy, creative, beautiful space of life, intentionally, and let community grow up around me.